V8 Supercars couple Riana Chrean and Will Davison were on instrumental highs after completing the Sunshine Coast 703 Half Ironwoman and the Ironman. To help them with their recovery they visited us, P3 Sports & Recovery in Burleigh. 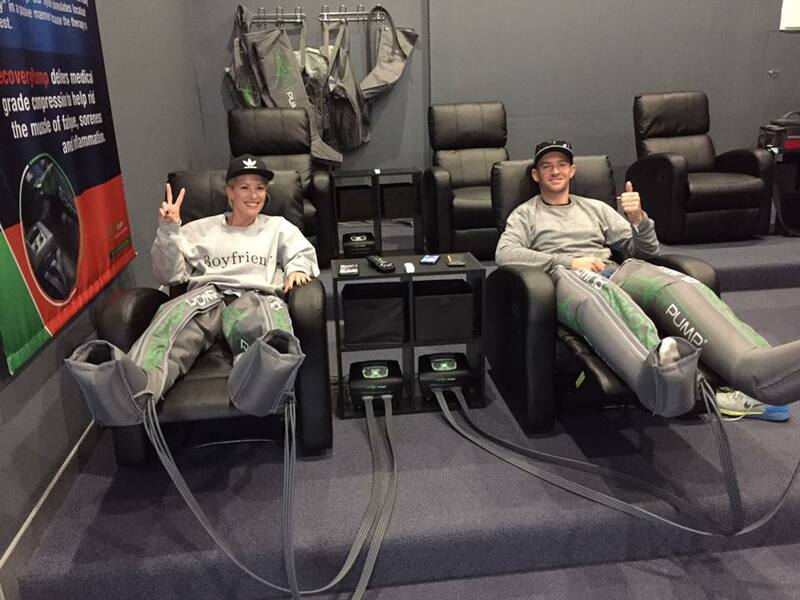 Pictured below is Riana and Will sitting back relaxing in the Recovery Lounge in the zero gravity reclining chairs using the recovery pump system on their legs to help flush away toxins and lactic acid. A session in the Recovery Lounge is typically anywhere from 20 minutes up to 50 minutes, the longer you can stay the better for your recovery and blood flow. 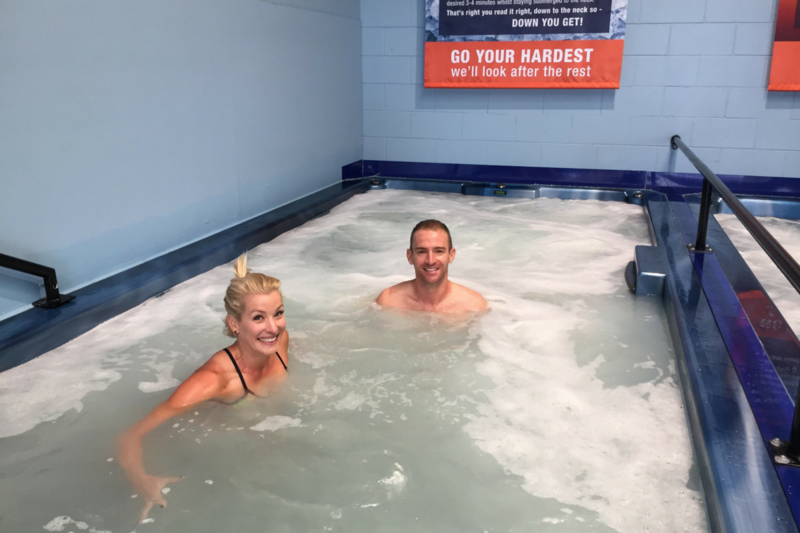 Riana and Will then went into the wet therapy area for the next installment of recovery at P3 in Burleigh Heads. The magnesium in the hydro and plunge pool helps reduce fatigue and pain in muscles. The Magnesium Chloride mineral (which is found in P3 Sports & Recovery pools) as you bathe and swim, can be absorbed through the skin (transdermally) at a cellular level. The process is called Mineral Science Therapy. Mineral Science Therapy is the absorption of Magnesium Chloride through the skin. This method can have a powerful effect in assisting the body to build and store optimal levels of Magnesium to promote healthy wellbeing and is dramatically more effective than when taken orally, this is proven. Recovery done right! Thanks Riana and Will for using P3 for your recovery after the big race. P3 Sports & Recovery Gold Coast is located at 1/10 Kortum Drive, Burleigh Heads or call us on (07) 5576 8507, or send us an email to infogc@p3sports.com.au or use the contact form below.